Create a more interactive customer experience. Develop intelligent retail map solutions by combining store and customer data in a visual manner. Our mapping platform provides the interface to deliver location-based offers, rewards, and messages to customers. Location is an increasingly critical element of marketing and retail customer engagement. Over 50% of brands are using location data to target customers* and deliver high ROI marketing programs in-store, out-of-store or virtually. 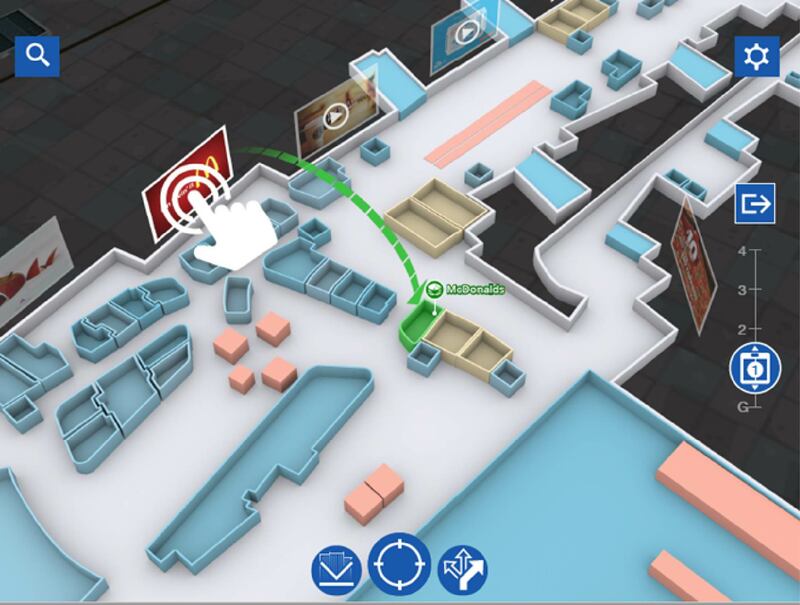 Our intuitive 3D map is customizable to include a real-time operating picture of your store space. Use spatial analytics to grasp a complete picture of your visitors, enact better safety procedures, create more efficient retail operations and effective product placements. Build applications that increase customer satisfaction and loyalty. Plug in various APIs to our platform like transit, points of interest (POI), directions, and mobile payment services. 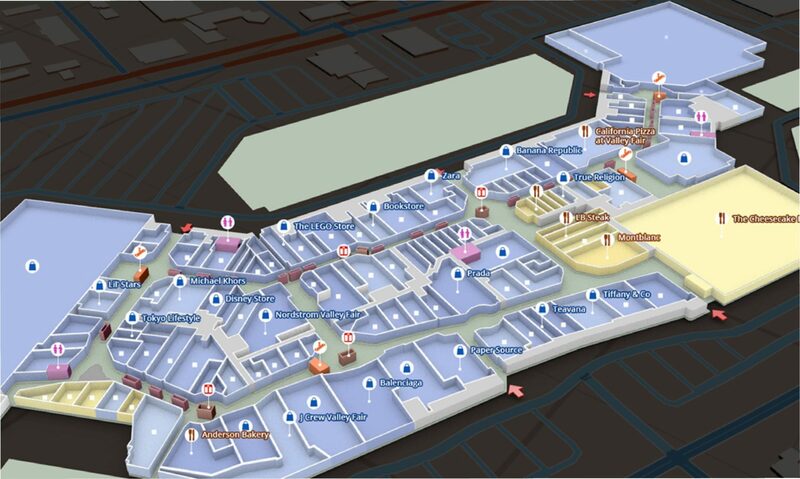 Provide a more intuitive retail discovery process with interactive maps and self-guided tours. 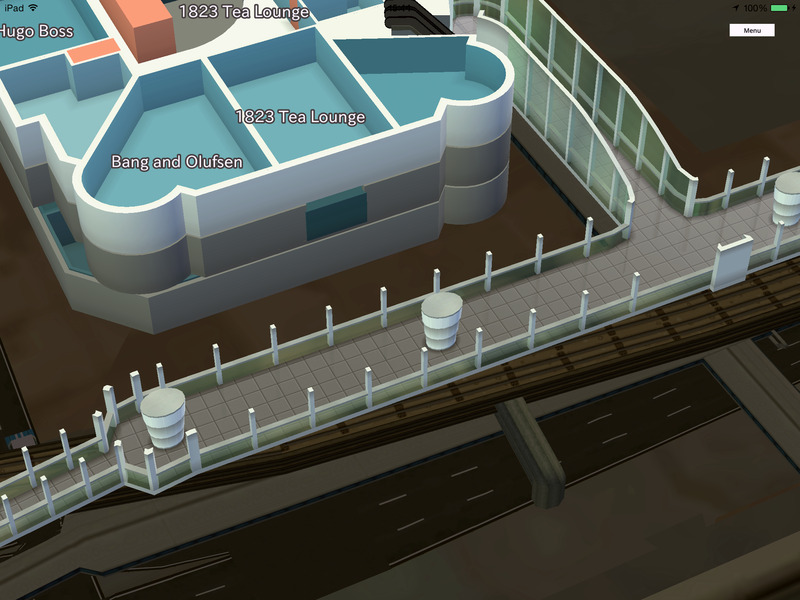 Represent key spaces with custom detailing and landmarks. Integrate relevant, location-based messages from stores, restaurants, cinemas, etc. Integrate users’ passbooks with retailer reward applications so they can easily redeem points and view other contextual offers. Create a seamless outdoor to indoor experience with transportation links, navigation, car parking availability, reserve space functionality, and more. to create smart new solutions for the retail world.